A public consultation has been launched by Kier Property Group on plans to transform part of the former Kingsway Hospital Site, on the west side of the city into a new Next store, restaurant and drive-thru coffee shop, which could provide up to 160 full- and part-time jobs. 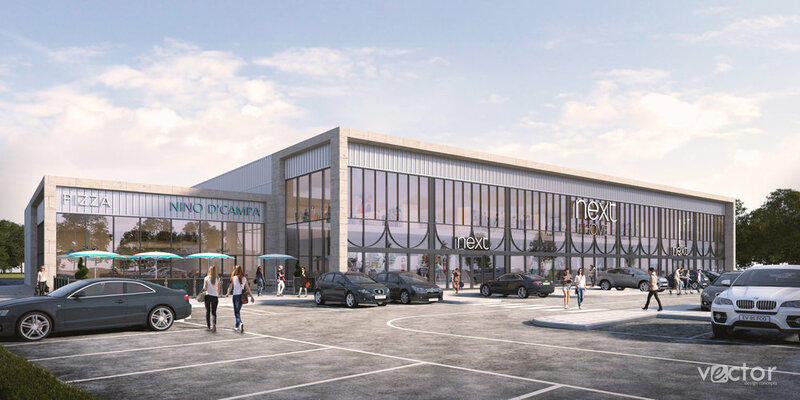 The 2,415 sq m footprint Next store will replace the retailer’s current shops at Kingsway and Wyvern Retail Parks, alongside a 371 sq m restaurant, a 167 sq m coffee shop and drive-thru and a total of 207 car parking spaces. The plans also include significant highways improvements, including widening the exit lanes from Kingsway Retail Park and the possibility of hosting one of Derby’s new e-bike hubs. The Next store will feature homeware, café and click and collect, including Next’s ‘Express to Store’ collection service, alongside a fashion offer. November from 3.30pm to 7.30pm in the Kings Highway Pub, Rowditch Place, DE22 3NH, with members of the development team on hand to answer any questions the local community may have. A formal planning application will be submitted once feedback from the consultation has been analysed by the development team.